After expressing their rejection of the Peru-Bolivian Confederation, Chilean government sent a military expedition that reached Arequipa on 12 October 1837. 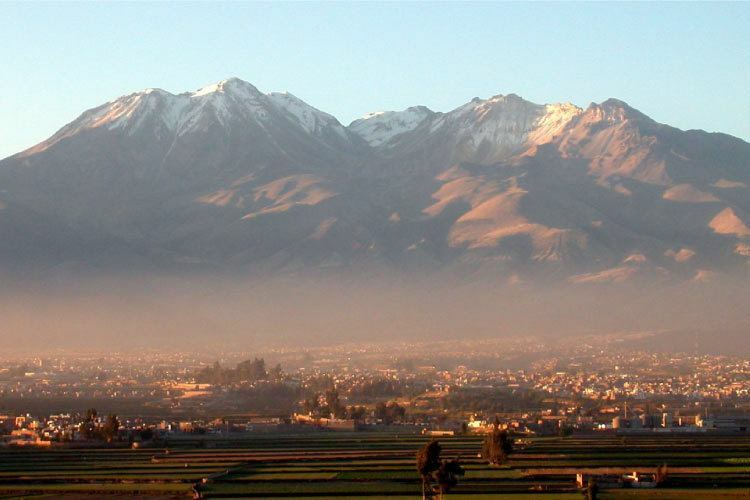 To avoid a battle, negotiations allowed the signing of a peace treaty in Paucarpata, a small town near Arequipa on 17 November 1837. In the following years the city was the scene of uprisings and successive military coups, which ended in the victory of the forces commanded by Miguel de San Román against the army of Manuel Ignacio de Vivanco in the battle of Paucarpata on 29 June 1857. It was around this time that Arequipa gained prominence as a center of business and trade, focused in agricultural products and the production of wool, sometimes by means of exploitation of peasants. In 2007, the city of Arequipa had 20 595 students at initial level schools or kindergartens, 143 543 students at elementary schools and 219 305 at high schools. Among the oldest and most prestigious schools in the city are: Independencia Americana School, San Francisco de Asis School, Don Bosco School, La Salle School and San Jose School. 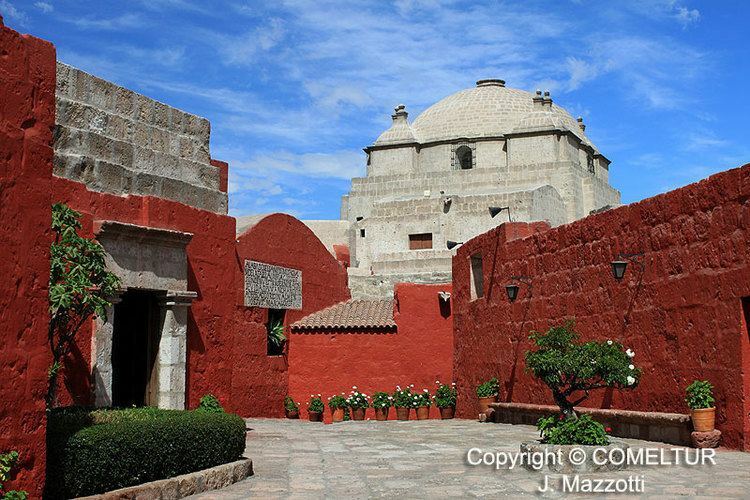 Arequipa, unlike other big Peruvian cities with mestizo and indigenous features, has been labeled as a "Spanish island in an indigenous sea", because of its regional cultural features more clearly defined than in the rest of Peru, described as a cultural and natural oasis. Culture in Arequipa is marked by the regionalism of its inhabitants; in fact, unlike other regional sentiments within Peru, Arequipa's regionalism was connected to the fight against centralism. This proud regionalism, expressed in numerous insurrections or revolutions have earned the city the nickname "Ciudad Caudillo" (Warlord City) or better explained by Peruvian historian Jorge Basadre: "Arequipa is a gun pointed at the heart of Lima", when making a reference to the antagonism between both cities. Literature in Arequipa has a long tradition and many of the city's writers have gained recognition in Peru and internationally. 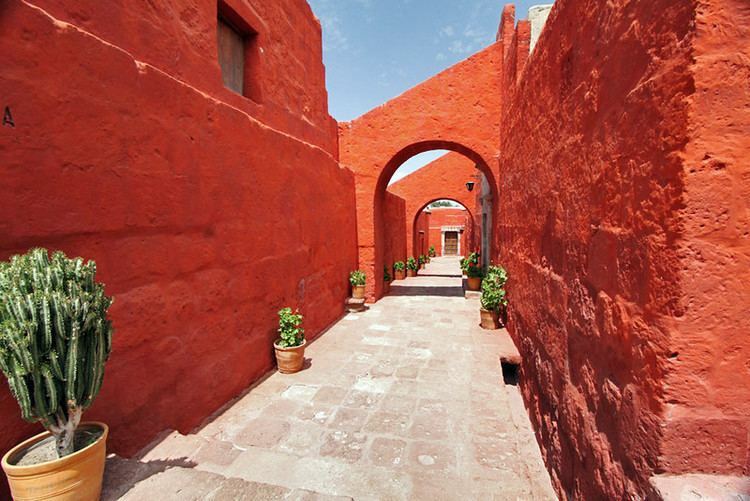 During the Spanish colonial period only the works of Lorenzo de Llamosas have survived to these days. In the nineteenth century, the poetry and fables of Mariano Melgar are a good reference of the regional literature at the time, with both patriotic and romantic themes. Other notable writers of Arequipa in that century are: Benito Bonifaz, Jorge Polar and Maria Nieves y Bustamante, among others. In the twentieth century, Mario Vargas Llosa is the most recognized of the Arequipan writers in Peru and abroad, winner of Nobel Prize in Literature in 2010; author of novels like The Green House (1966), Aunt Julia and the Scriptwriter (1977), among others. Other writers of the past century who took part of the cultural life of the city were the poets Percy Gibson, Cesar Rodriguez Atahualpa and Oswaldo Reynoso. Some of the most detailed photographic records of 19th and 20th century Peru are to be found in the works of the Vargas Brothers Art Studio. Open from 1912 to 1958, the studio captured more diversity of Peruvian culture than any other photography studio at the time. Most known for their nocturnals and portrait photography of women, their photographic archive, which is privately held by descendants of the brothers Carlos and Miguel Vargas, who founded and operated the studio, have been restored and digitized. Many international showings of their works, have brought recognition to the studio and the way of life their images have preserved. Association football or soccer is the most popular sport in Arequipa, with a popular local team being Melgar F.C. This team currently plays in the Peruvian First Division of association football, winning its first national championship in 1981. The main soccer stadiums in the city (also used for other events) are: Virgen de Chapi Stadium (property of San Agustin National University), Mariano Melgar Stadium, Los Palitos Stadium and Umacollo Stadium. Regional cuisine shows a great diversity with as many as 194 typical dishes. 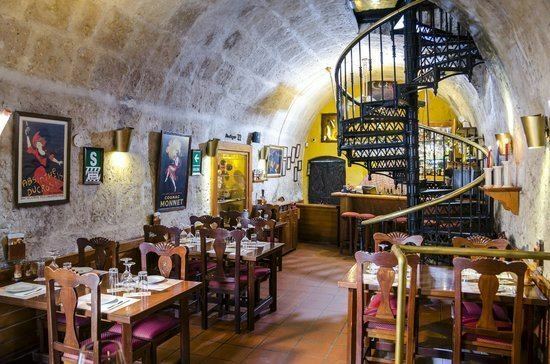 The cuisine of the city mixes recipes from European and Andean cultures, because many dishes were created to satisfy the taste of the Spanish settlers in Arequipa. As a curiosity, many restaurants feature a special main course according to each day of the week: chaque on Mondays, chairo on Tuesdays, chochoca on Wednesdays, chupe colorado on Thursdays, chupe de viernes on Fridays, puchero or timpusca on Saturdays and caldo blanco or pebre de lomos on Sundays. Among the most popular local dishes are chupe de camarones (shrimp soup), ocopa arequipeña, rocoto relleno, cuy chactado (fried guinea pig), locro de pecho, etc. ; while typical desserts are: queso helado (ice cream made of cheese), buñuelos, dulces de convento and chocolates. Besides local wines and beers, two typical beverages are: chicha de jora and anisado (anise liqueur). In the city itself is a stylistic school called "School Arequipa" of crucial importance in the region and whose influence reached Potosi. This school is characterized by profuse decoration planiform textilográfica and the open spaces and the design and size of their covers, which differ in these aspects of Cuzco and Lima covers. Within the historic center there are 246 houses were declared monuments household, this type of construction is characterized by thick walls made solid as drawer, with arches and domes similar to those built in the temples and monasteries religious, giving the same robustness and monumentality to these constructions built from the seventeenth and eighteenth centuries and generally used for housing. Plus 22 hectares of countryside within this historic area.